Paris, the indisputable capital of romance, continues to be one of the world's top travel destinations. The city exudes elegance and sophistication, and attracts visitors from across the globe with its heady offering of culture, history and splendid architecture. Despite the turbulent economical tides of late, Paris has demonstrated economic stability and sustainability, making it an attractive investment opportunity. The residential sector is thriving, thanks to ample urban regeneration and redevelopment. Recent reports pinpoint Paris as the top place to invest in Europe, for both residential and office space. The city is divided into 20 districts, and so there are numerous possibilities for prospective buyers. Many buyers are drawn to the old and distinctly Parisian buildings, while others prefer modern apartments with conveniences such as underground parking and large balconies. 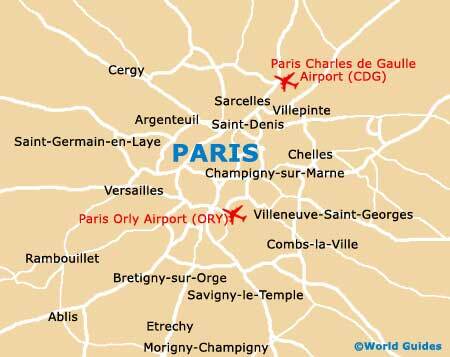 Property and rental prices around the centre are high, as well as in popular districts like Montmatre, but beyond the bright lights there are plenty of affordable options suitable for residential or holiday accommodation in the north and east. The bulk of serviced apartments in Paris are concentrated around the city's major attractions, such as Notre Dame and the Champs Élysées. Studio apartments in the business districts are among the more affordable options, while luxury aparthotel-style accommodation offering views over the Seine go up almost tenfold. 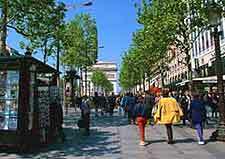 Paris apartments are of a high standard and are well equipped for visitors' needs. Even the cheapest options are well designed with large French windows, a kitchen and dining area, and carefully selected furnishings. Mid-range properties offer a more spacious layout, while apartments at the top of the price bracket offer opulent settings plus extras such as wireless Internet, heated towel rails and a dishwasher. Most apartments can be rented on a weekly basis, and are easy to find on the Internet. The longer the rental term, the more likely a discount, while a deposit is required regardless of the period of rental. Most foreign buyers search for rustic 17th- and 18th-century buildings with open fireplaces and marble mantelpieces. However, others prefer a more contemporary look with added modern conveniences. According to recent research, investing in a Parisian property is low risk and highly profitable. Apartments in Saint Germain de Prés are highly sought-after by those who can afford the inflated central Paris prices. The redeveloped mid-range Montorgueil region of the city is a vibrant area with a lively café culture and lots of quality apartments. The cheapest options are further out of the city in areas such as Belleville and Parc des Buttes Chaumont. Foreigners should purchase the property in their own name, as opposed to that of a business, to avoid concealed tax penalties. There is no shortage of estate agents in Paris. Most work in independent operations, while some stand under the umbrella of associations or franchises. There is very little standardization in terms of fees and operation, so service varies according to agent. Always pick an agent who demonstrates a high level of English, as good communication is the key to happy house hunting. Lost in France handles a wide selection of Parisian properties, from townhouses to loft apartments. Established 25 year ago, De Carne Immobilier has a renowned track record in the field of real estate. With 30 years of experience and agencies throughout France, Marc Foujols has a varied selection of properties on its books, ranging from apartments to castles.